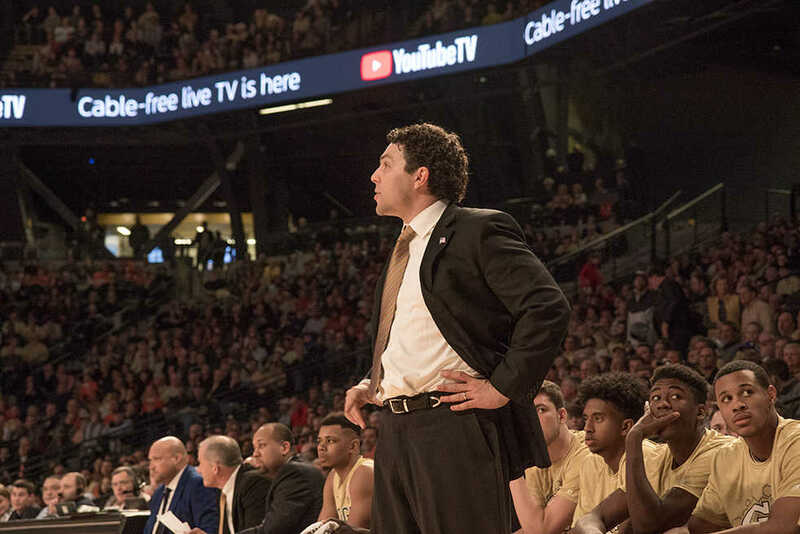 The details of Tech Men’s Basketball Head Coach Josh Pastner’s defamation lawsuit against his former friend, Ron Bell, and Bell’s girlfriend, Jennifer Pendley, were made public this month. Pastner’s suit, filed in January, followed months of public accusations and allegations by Bell and Pendley and extensive media coverage. Bell and Pendley’s accusation of Pastner of sexual assault against Pendley notably made national headlines. Bell and Pastner had previously been close friends, a relationship that goes back to Pastner’s time as a player at the University of Arizona. Bell credited Pastner with saving his life in a 2016 interview, once for helping him get clean following a prescription drug addiction that landed him in jail and another time fighting off cancer. According to Pastner’s lawsuit, Bell and Pastner had a falling out when Pastner sided with one of his administrative assistants instead of Bell in a dispute over a t-shirt made for Pastner’s 40th birthday. According to a CBS Sports report from last November, Bell also allegedly felt disrespected by Pastner when Pastner failed to call Bell for his birthday. Following an argument last October, Bell threatened to expose NCAA violations within the Tech MBB program, as detailed by Pastner’s suit. Pastner reported the violations and suspended the involved players, Josh Okogie and Tadric Jackson, calling for an NCAA investigation. Bell took his claims to CBS Sports and told CBS Sports that he had given the players improper benefits, including clothes, food and plane tickets. When asked to provide evidence that Pastner knew about the allegations, Bell, who had provided documentation and receipts of every impermissible benefit given to Okogie and Jackson, was unable to provide any physical evidence linking Pastner to said benefits. Pastner’s suit alleges that Bell provided the benefits of his own accord and told the involved players not to tell Pastner about the benefits. Pastner’s lawsuit detailed that the NCAA attempted to launch an investigation into the allegations, but was unable to determine the extent of the violations as Bell refused to cooperate with investigators, at times threatening them over the phone and refusing to provide evidence of the NCAA violations. Instead, Bell began making sexual assault allegations against Pastner. The NCAA deemed it unsafe to interview Bell in person, Pastner’s lawsuit says. These sexual assault allegations were detailed in a countersuit by Bell and Pendley in response to Pastner’s defamation suit. According to the suit, Pastner sexually assaulted Pendley in a hotel room in Houston while Bell, Pendley’s partner, was in the shower. The lawsuit also detailed 11 other instances where Pendley and Bell claim that Pastner sexually assaulted Pendley. Pastner’s lawyer Scott Tompsett, in addition to his statement, released police reports detailing domestic disturbances with Bell and Pendley in response to the allegations. Pendley’s father had repeatedly called police, expressing concern that Bell was manipulating and abusing Pendley. When officers went to investigate, Pendley told police that Bell monitored her phone usage and prohibited her from speaking to family members. Previously, Pendley’s father had called police to say that Pendley’s friends told him that Pendley feared for her life from Bell. According to USA Today, Pastner’s attorney also cited that Bell’s ex-wife had similarly complained of mental and physical abuse and received an order of protection from him in 2006. Tompsett also brought further allegations against Bell, claiming that Bell had previously made false sexual assault allegations against his own mother, and said that Bell’s own father had to obtain an order of protection against Bell. Tompsett claimed to have the support of Pendley’s family in his clients’ suit against Pendley and Bell. The allegations are being given due diligence by Tech. An ESPN report from last Friday said that Tech had opened an investigation into the allegations, and would hire an independent investigator to examine the matter. Still, Tech Director of Athletics Todd Stansbury has stood behind Pastner despite the allegations, describing him as “a great coach and a great person” during an interview this week. Stansbury declined to comment further, citing the active investigation. The allegations against Pastner are another in a long line of speed-bumps for Tech Men’s Basketball — off the court, Assistant Coach Darryl LaBarrie resigned last week in the midst of an extended NCAA investigation into a potential rule violation, and on the court, Freshman guard Jose Alvarado had his season end last Sunday after suffering a fractured elbow against Duke. The Jackets are 11-15 overall and 4-9 in ACC play, and will face Virginia Tech this Sunday at noon on ESPN2.